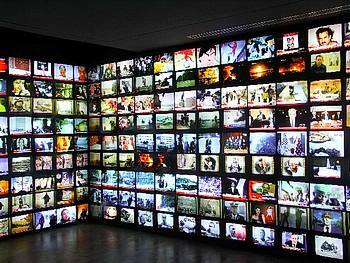 The Western media serves merely as an amplifier of the government’s propaganda. Even the non-Western media follows this pattern because of the titillating effect. It is a good story for the media, and it requires no effort. Initially even the Russian media served to trumphet the set story that rescues the Western political establishment from politial defeat at home and Russian defeat in Syria. But it wasn’t too long before some of the Russian media remembered numerous false stories about a Russian invasion of Ukraine, about Assad’s use of chemical weapons, about US ABMs being placed on Russia’s borders to protect Europe from nonexistant Iranian nuclear ICBMs. And so on. Apparently, ISIL is a creation of the CIA or some deep-state organization shielded by the CIA’s operations department. ISIL seems to have been used to overthrow Gadaffi in Libya and then sent to overthrow Assad in Syria. One would think that ISIL would be throughly infiltrated by the CIA, Mossad, British and French intelligence. Perhaps ISIL is discovering that it is an independent power and is substituting an agenda of its own for Washington’s, but ISIL still appears to be at least partially dependent on support, active or passive, from Washington. ISIL is a new group that suddenly appeared. ISIL is portrayed as barbaric knife-wielding fanatics from medieval times. How did such a group so quickly acquire such extensive global capability as to blow a Russian airliner out of Egyptian skies, conduct bombings in Lebanon and Turkey, outwit French intelligence and conduct successful multi-prong attacks in Paris? How come ISIL never attacks Israel? Is it a benefit to ISIL to have Europe’s borders closed, thus halting ISIL’s ability to infiltrate Europe as refugees? Does it help ISIL to provoke French bombing of ISIL positions in the Middle East and to bring upon itself a NATO invasion? Clearly, the European and American political establishment in so many ways. Establishment political parties in France, Germany, and the UK are in trouble, because they enabled Washington’s Middle East wars that are bringing floods of refugees into Europe. Pegida is rising in Germany, Farage’s Independent Party in the UK, and Marine Le Pen’s National Front in France. Indeed, a recent poll showed Marine Le Pen in the lead as the next president of France. The Paris attack takes the issue and the initiative away from these dissident political parties. Among the first words out of the mouth of the French president in response to the attack was his declaration that the borders of France are closed. Already Merkel’s political allies in Germany are pushing her government in that direction. “Paris changes everything,” they declare. It certainly saved the European political establishment from defeat and loss of power. Also among the early words from the French president, and without any evidence in support, was Hollande’s declaration that the Islamic State had attacked the French nation. Obviously, it is set for Hollande to invoke NATO’s Article V, which would send a NATO invasion force into Syria. This would be Washington’s way of countering the Russian initiative that has saved the Assad government from defeat by the Islamic State. The NATO invasion would overthrow Assad as part of the war against the Islamic State. The Russian government did not immediately recognize this threat. The Russian government saw in the Paris attack the opportunity to gain Western cooperation in the fight against ISIL. The Russian line has been that we must all fight ISIL together. The Russian presence, although highly effective, is small in Syria. What does the Russian government do when its policy in Syria is crowded by a NATO invasion? The only benefactor of the Paris attack is the Western political establishment and Washington’s goal of unseating Assad in Syria. The Paris attack has removed the threat to the French, German, and British political establishments from the National Front, Pegida, and the UK Independence Party. The Paris attack has removed the threat to the US political establishment from Trump and Sanders. The Paris attack has advanced Washington’s goal of removing Assad from power. The answer to the Roman question, “cui bono,” is clear. But don’t expect to hear it from the Western media.